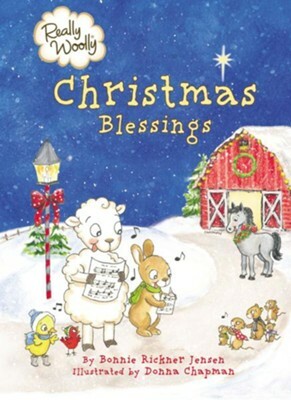 I love checking out children's books of all kinds, and I was happy to have the chance to read and review Really Woolly Christmas Blessings. This is a Christmas book that tells the story of Jesus' birth and that goes beyond that with poems about Christmas trees and gifts. The pictures in this book are cute and fun. This is a good book for babies and toddlers, and some kids who are a little older may like it. The style in which this is written is fun. The pictures in the book are enjoyable to look at. Each page of the book includes a Bible verse. One of the verses that is used on one of the pages is highly irrelevant and completely taken out of context. I wish that they had just left that one out, as it will confuse children. Overall, this is an okay book. I give Really Woolly Christmas Blessings 3 out of 5 stars.